This image evokes the feeling of complete immersion in the wilderness, surrounded by trees as far as the eye can see. 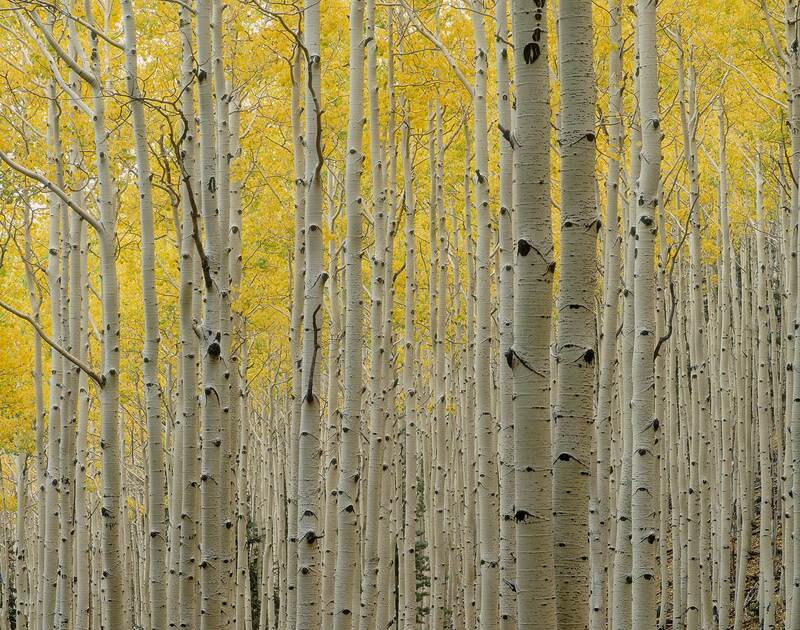 This immense stand of aspens, nestled in the cool inner basin of the volcanic San Francisco Peaks (Kachina Peaks to the Hopi) near my home in Flagstaff, is one of my favorite places to lose myself on a crisp autumn day. On this particular day I mounted the camera atop a rock and used a slightly long lens, flattening the perspective to emphasize the density of the aspens.